Many people are entertaining family and friends during the Christmas and New Year period. A gift of fresh flowers will be much appreciated as it means the recipients house has an instant touch of beauty and charm at the time you want your home to look its absolute best. Our Christmas range has some adorable pieces you can send as gifts which give homes (and workplaces too) a special Christmas touch. They make any room more warm and welcoming, especially areas such as front entrances and living rooms. When giving a gift be mindful of the fact that it will add clutter and take up space so it better be beautiful or very much useful. Fresh flowers don't add any clutter, yet they become a showstopping piece while they are blooming. Native flowers are especially long lasting and admired for their longevity. 3. Fresh flowers won't make them fat! Not another box of chocolates! Give a gift of beauty and fragrance instead of the extra sugary calories, they will appreciate it so much when they're not slaving the box of chocolates off on the treadmill in the new year! Research shows that having flowers in the home instantly adds contentment whenever they are seen. Flowers are that extra touch which have very real emotional and nostalgic ties. They bind us to our memories and by their very colour and texture, bring emotional well-being. When people receive flowers they often express feelings of delight and gratitude. They also report increased feelings of life-satisfaction. The gift of flowers is universally well-received. When you want to give a gift but don't know the person or colleague very well then flowers are a great option. The gift of flowers strengthens connections in a very real way. Flowers have been universally cherished throughout history and continue to be. December is such a hectic time of year. 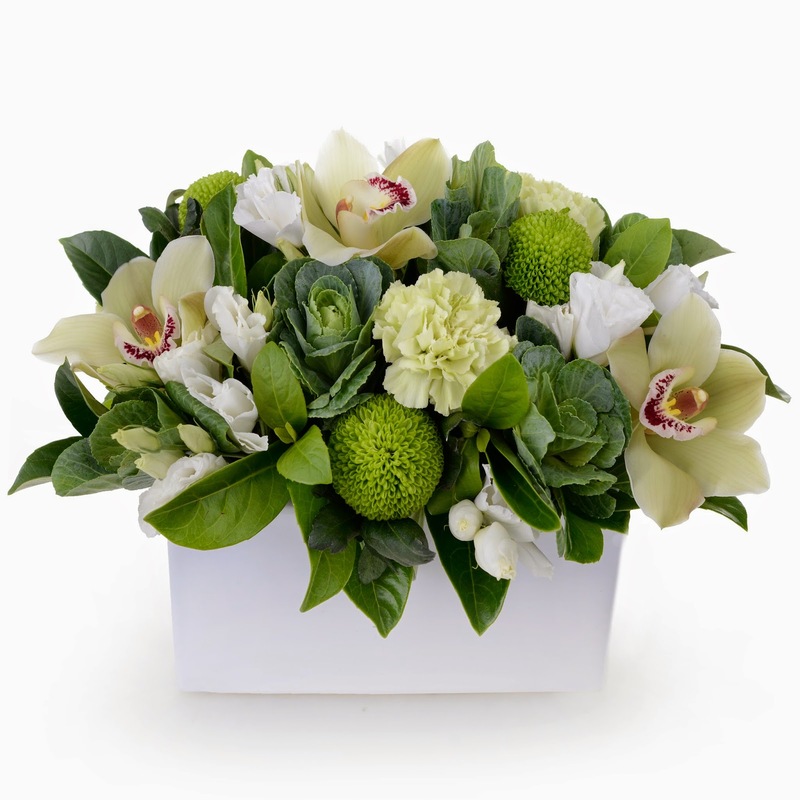 Sending flowers takes little time or effort - no lines, no post office, no hassle. 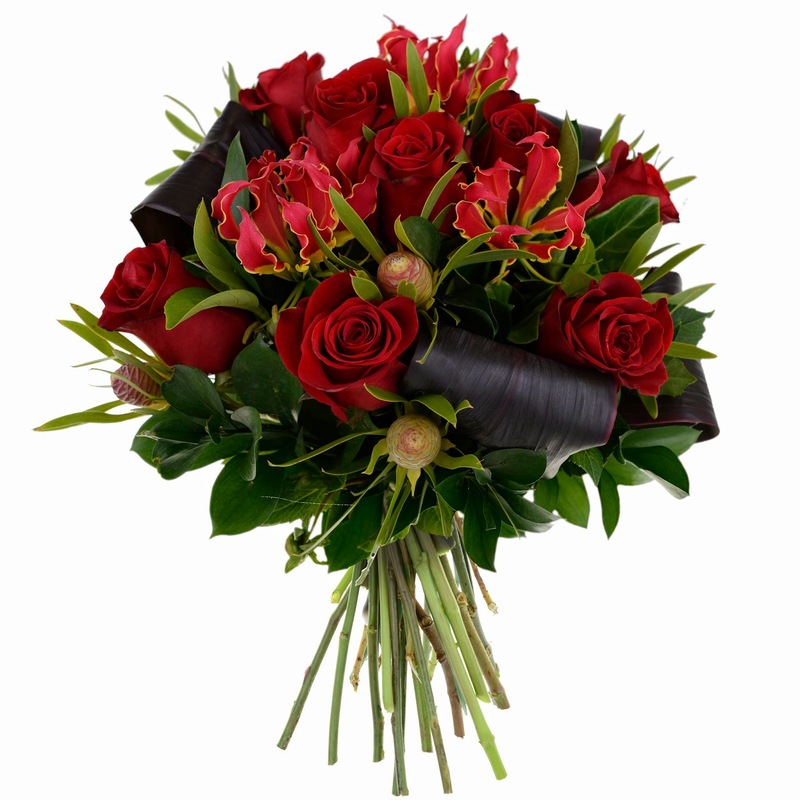 Once your order is placed online, over the phone or in store our florists design your gift for you and arrange delivery through our efficient courier service. We deliver on Christmas Eve too - for last minute gifts this service is perfect. "Gift recipients experience compelling connections with givers, and the positive link is particularly evident in the exchange of flowers. A successful person is not necessarily someone with a lot of money and material goods, but rather someone who is in tune with people and knows how to touch their hearts. I can think of no other item besides flowers that evokes such positive feelings and perceptions for both the giver and receiver."